Gorgeous! 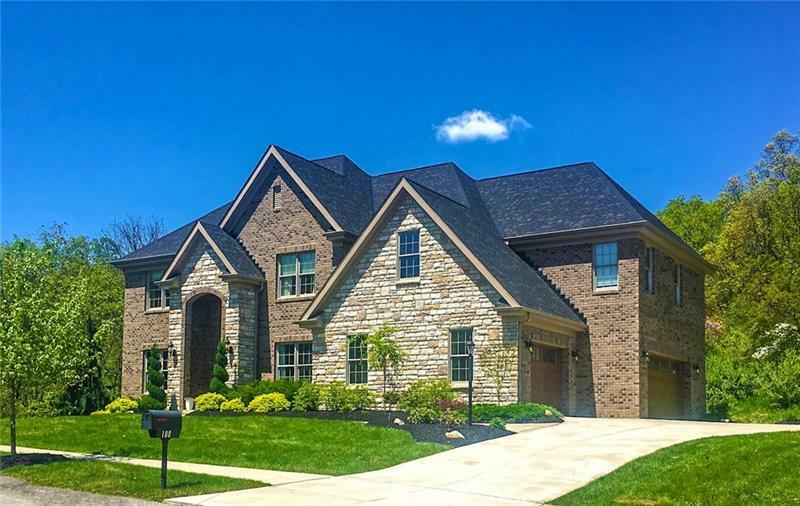 Newly built (2016) all brick and stone custom home in Ehrman Farms. Sophisticated from top to bottom, this well cared for home is graced with coffered ceilings, heavy trim, and woodwork, with standout gourmet kitchen, Butlers pantry and dining room for fabulous entertaining. Let the distinctive study draw you in, while the family room, open to the morning room, will become a favorite family gathering spot. Remarkable wide plank hardwood floor runs throughout the main level. Thoughtful floor plan features 2nd-floor laundry, spa-like master retreat boasts huge walk-in closets and bath with heated flooring, a large shower and luxurious soaking tub, a junior suite, and 2 additional bedrooms. Spacious and light filled Lower Level with full bath, and about 1,000 sq ft of living space. Enjoy a private parcel that backs to trees, with patio and level yard.